Assuming you're using Eclipse, Goto your Android Manifest, goto the Applications Tab (at the bottom), click on "Add", Choose Activity. On the right, next to Name: Click on Browse, to get a list of available activities, just add it and you're set!... You must declare your activity in the manifest file in order for it to be accessible to the system. To declare your activity, open your manifest file and add an element as a child of the element. Java How to declare a new activity in Android manifest? description: A name-value pair for an item of additional, arbitrary data that can be supplied to the parent component. 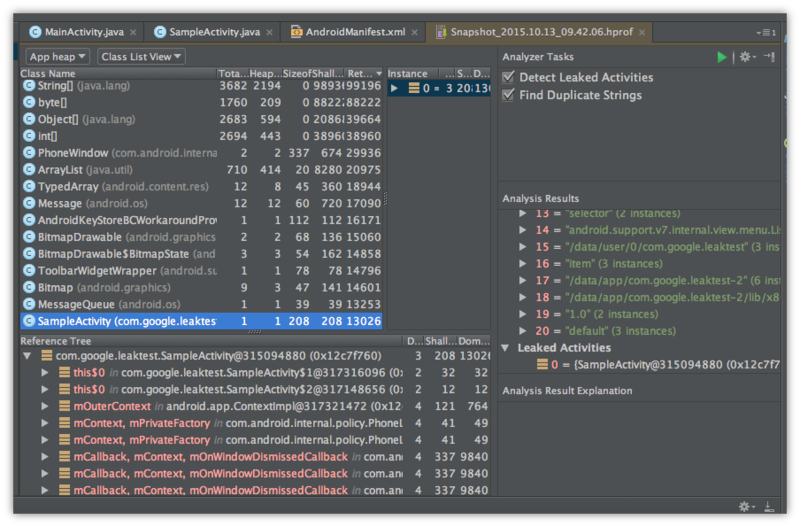 android,android-activity,android-studio,menu,menuitem Option A A base Activity class that implements the logic for the menu items - in this case all 30 of your Activities should extend the base Activity. If you add an activity�s Java code to an Android application, you must also add an activity element to the application�s AndroidManifest.xml file. If you forget to add an activity element, you see an ActivityNotFoundException when you try to run the application.